How many of you watched Perfect Strangers as a kid? Do you remember Larry getting terribly sick and Balki making his famous "Mypos Cure" that made Larry's eyes roll back in his head? Well, I have my own little version of the "Mypos Cure" that I like to keep on hand for cold and flu season. I don't think my recipe is quite as unique as Balki's and far more palatable but it does the trick when colds and flu are making you miserable. Mix the following in a pint jar. 1/4C raw local honey *~ used to promote energy and healing, antiseptic, includes many essential nutrients and vitamins and minerals. Optional - 1/4C spiced rum - I like to use Captain Morgan's. Besides being warming and relaxing, it's a bit of a cough suppressant, soothes sore throats. Be sure to add the blend to hot tea to disperse the alcohol if using with children or folks who are sensitive to alcohol. You can use this right away but if it's possible, allow it to steep for a least a day @ room temp. You can strain this if you want but I like to leave the solids in the jar. Store in the fridge for up to 3 months. *Do not give to children less than 1 year of age. You'll make that funny scrunchy face and do the head shake thing when you take it straight but it's worth it! 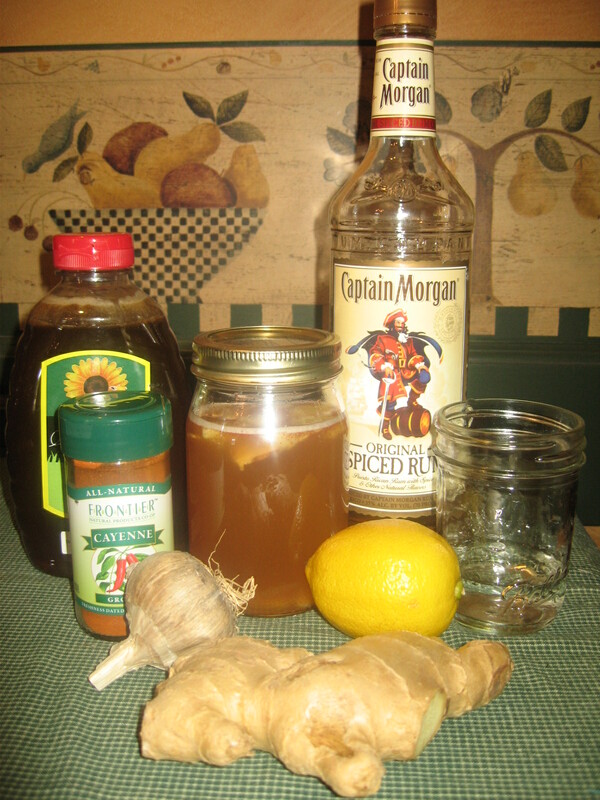 Have a favorite natural/herbal remedies that you like to keep on hand for cold and flu season? Link it up below. This linky is now closed to new entries...please link up to the current Wildcrafting Wednesday. Add the link to your remedy post (not your homepage). Please don't link up giveaways or other posts where the info is only good for a limited time. Add a return link to this post in your remedy post. I'm reserving the right to remove any that don't play fair. Older archived posts are welcome but please remember to add the return link. I have to try the Mypos Cure! 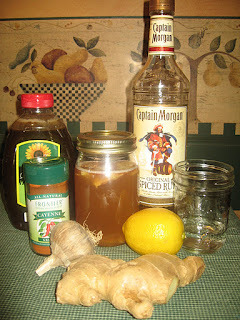 This is great, I love learning about new home remedies..I'm sharing about the Master Tonic this time...I'm adding your blog to my Pinterest as one of my favorite blogs.. This is the time for the winter herbals. Thanks for letting me link up. It took me time to read all the tips, but I clearly loved the post. It proved to be very helpful to me and I’m certain to all of the commenters here!